Based on this information what would you like to do next? 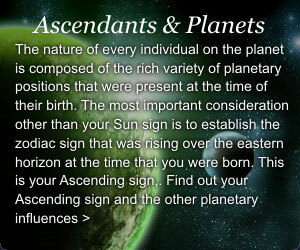 Look up your Astral Diary for Another Day. 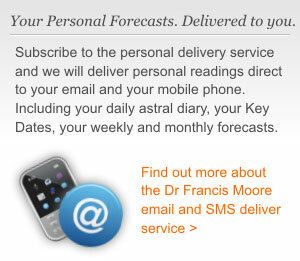 Have your Astral Diary sent direct to your email everyday. 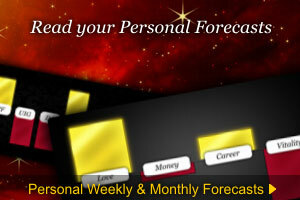 Have your Astral Diary sent direct to your mobile everyday. 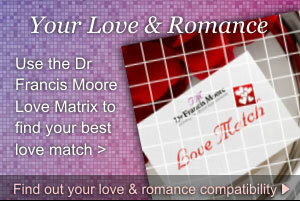 Copyright © 2010 Dr Francis Moore, a Foulsham Publishing website. All right reserved. Website designed by Averma Consulting.